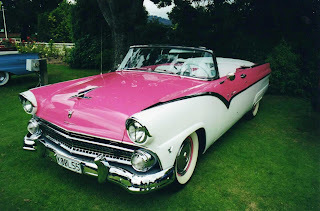 "KOOL 55" is a 1955 Fairlane convertible which looks impressive in pink and white, but I don't think it would have been my colour of choice. Being a fan of trucks of all sizes, I thought this 1958 Chevy Apache was just magnificent. 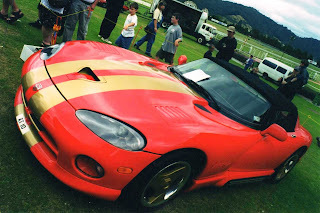 This Dodge Viper RT10 drew a lot of attention from young lads. 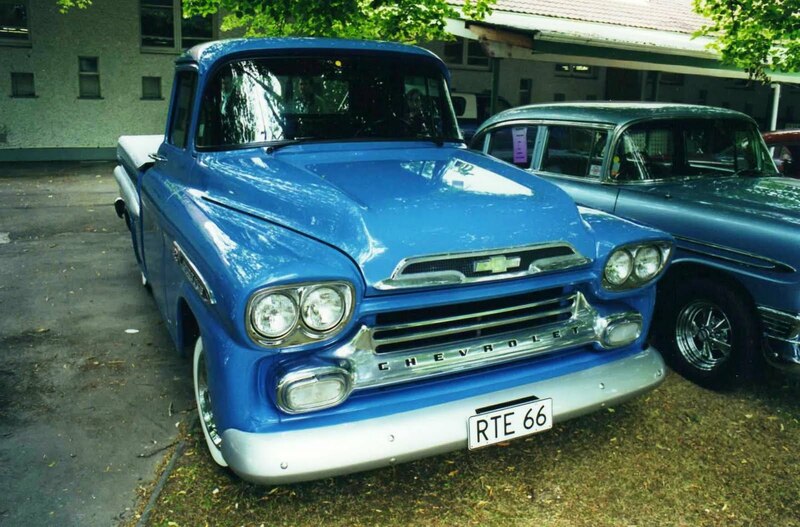 Blue is my favourite colour. 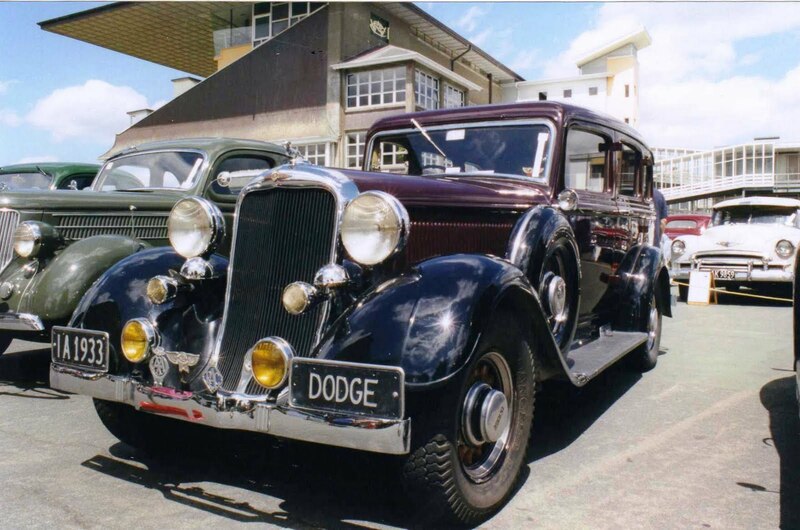 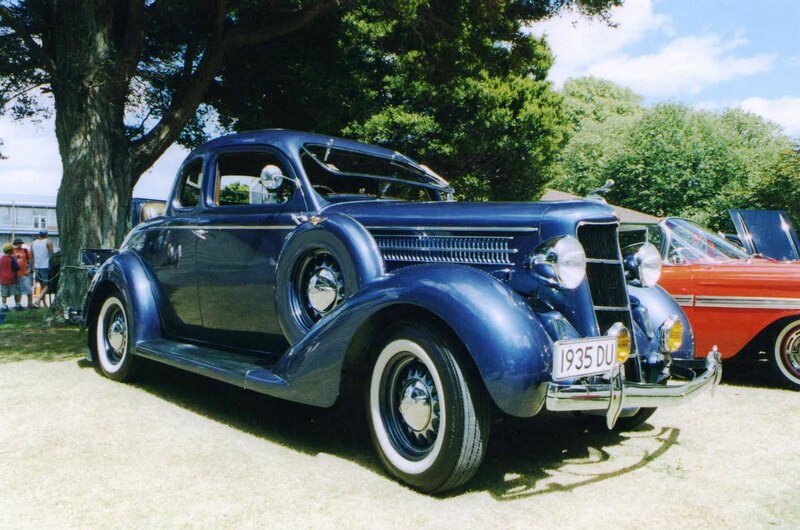 A 1935 Dodge Coupe. 1951 Buicks were big and bold. 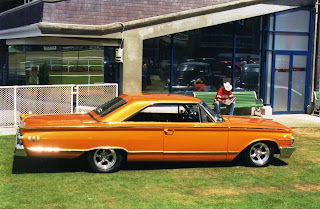 A modern paint colour adorns this 1963 Ford Mercury Marauder. 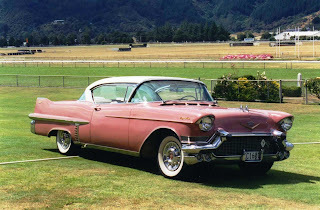 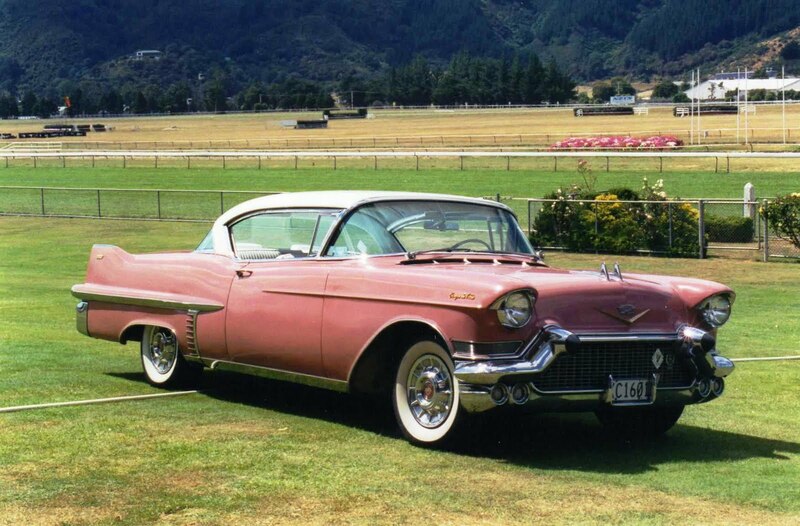 Parked out in front of the grandstand was a 1957 Cadillac Coupe de ville. 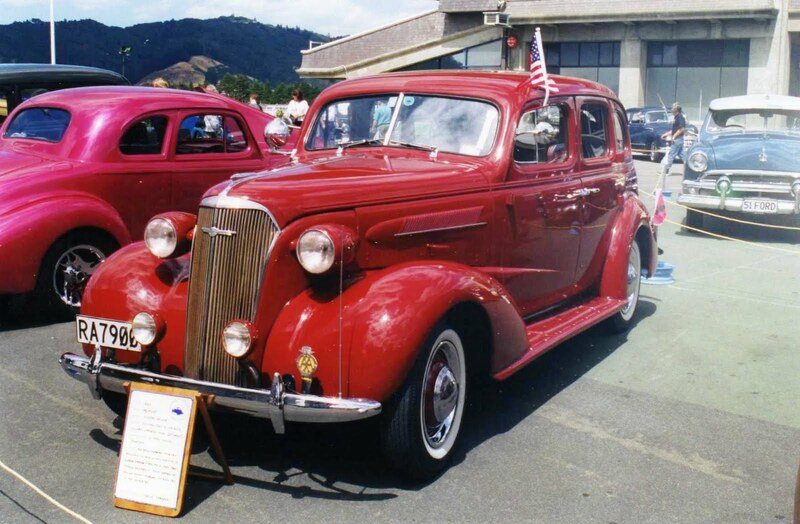 Many years ago my Uncle Fred had a family car similar to this 1937 Chev Master de luxe. 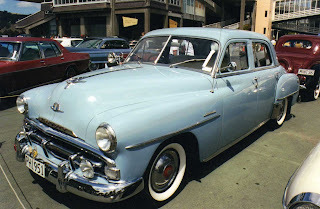 A very standard, but immaculate 1951 Plymouth Belvedere. 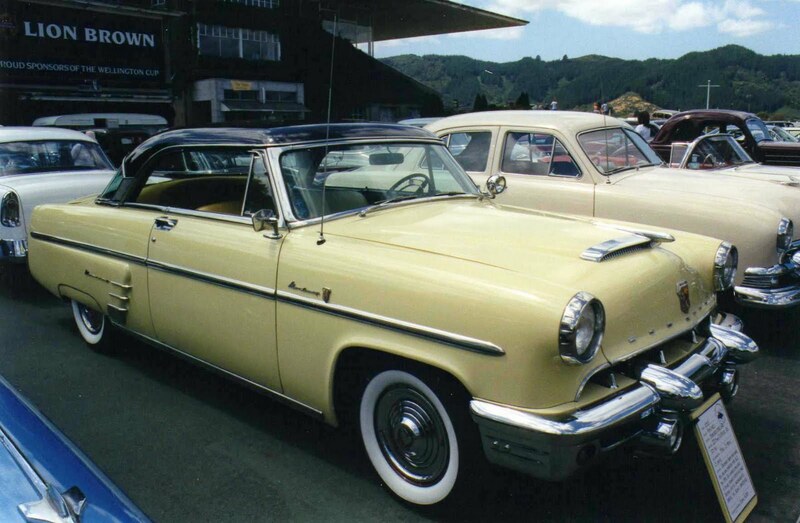 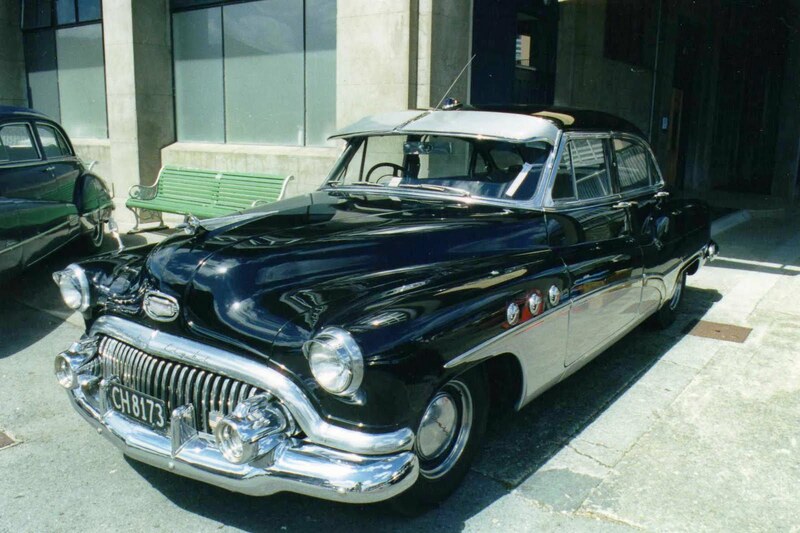 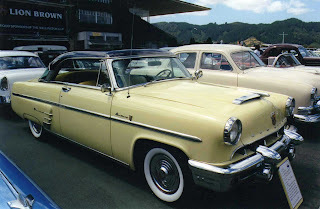 This 1953 Mercury Monterey must surely be one of very few in NZ. It's a sedan. 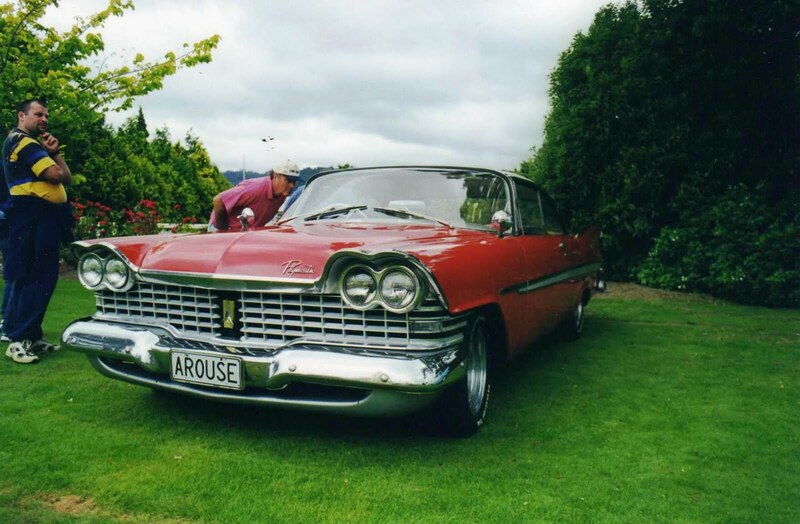 The front bumper mounted plates tell you the rest.